Brought to my attention by Christian Nentwig, an aviation enthusiast and a reader of The Aviation Geek Club, the beautiful video in this post (despite several aircraft recognition mistakes) clearly shows why the Rainbow Canyon, which is tucked in the western edge of Death Valley National Park and is known as “Star Wars Canyon,” is an aviation geek mecca. Known as the Jedi Transition to the military, the canyon – that was carved by an ancient lava flow – is located near Naval Air Weapons Station (NAWS) China Lake and Edwards Air Force Base (AFB), deep in the California desert. As explained by CNN, the area has been used for low altitude flight training since World War II, with the narrow rock walls too alluring for fighter pilots to pass up. This creates the side benefit of giving observers and photographers the unique ability to look down on the jets as they scream by, afterburners lit. 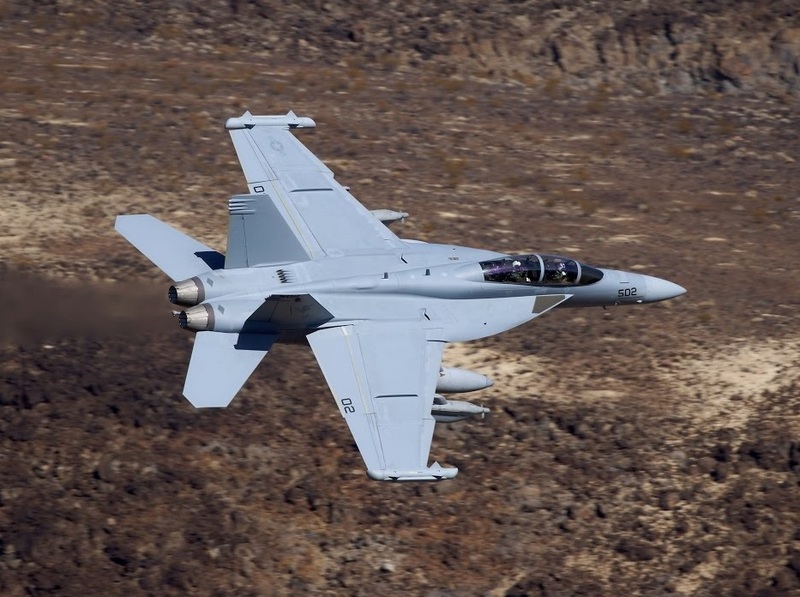 The airspace around Star Wars Canyon, which got its nickname due to the reddish, rocky terrain that resembles the planet Tatooine from the film series, is used exclusively by military aircraft. Nevertheless since the canyon is in the National Park and accessible to the public, anyone can park at a site named Father Crowley Point (about a four hour drive east of Los Angeles) and take in the spectacle. There are even restrooms at the point. But be warned: according to CNN in fact flight schedules are not posted and you could be there all day and not see a thing in the air but the occasional red-tailed hawk, which is cool but may not satisfy your need for speed. Moreover in the summer months flights can be limited by the extreme: hot air in fact is less dense, which means less lift. By contrast if you’re lucky, in just the space of an hour or so, you can get some amazing views of these powerful fighter jets turning and burning.